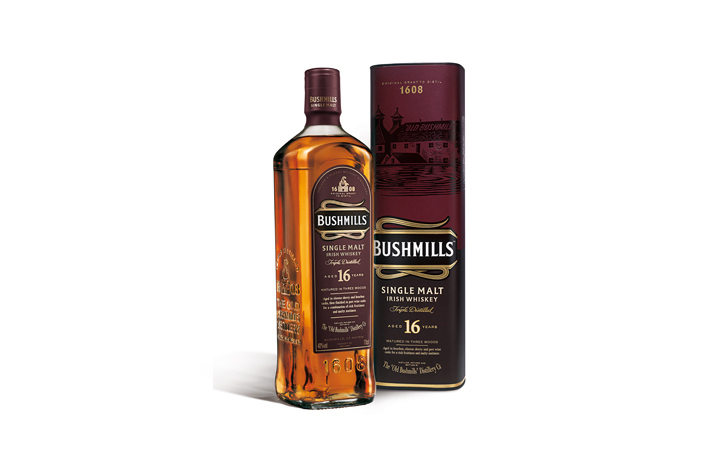 As much as we are a fan of Bushmills Black Bush Irish Whiskey, we are an even bigger fan of Bushmills 16 Year “Three Wood” Single Malt Irish Whiskey. As with most Irish whiskey, this Bushmills is distilled three times, but Bushmills takes the unusual step of aging this whiskey in three different kinds of wood. First, they age it in American bourbon barrels, then Oloroso sherry casks and finally a finish in port wine pipes. This results in one of the most flavorful and complex Irish whiskeys we’ve tried and a spirit worth seeking out. 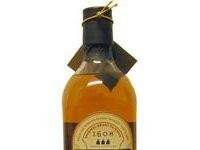 Bushmills 16 Year “Three Wood” Single Malt Irish Whiskey ($60 – 80 Proof) is dark amber in color. There’s a nice funk on the nose combined with sweet sherry notes, caramel, vanilla, apricot, port, brown sugar, a hint of salt, and a hint of chocolate. 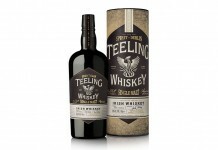 There’s a lot going on in the nose, much more than most Irish whiskeys in this class. The entry is smooth and sweet to start with vanilla and sherry flavors and then it unfolds beautifully in the mid-palate. There’s a very high level of complexity here with notes of oak, spice, grape jam and milk chocolate. The fruity notes lead the finish as the port and sherry notes linger on with just the right amount of spice and heat, and the slightest suggestion of milk chocolate. After a long finish it leaves your mouth nice and cool, finishing a wonderful journey with an excellent mouth feel from beginning to end.